Located in the heart of Studio City, nearby Ventura Boulevard, this Newly Built Construction home boasts over 5,400 sq.ft. 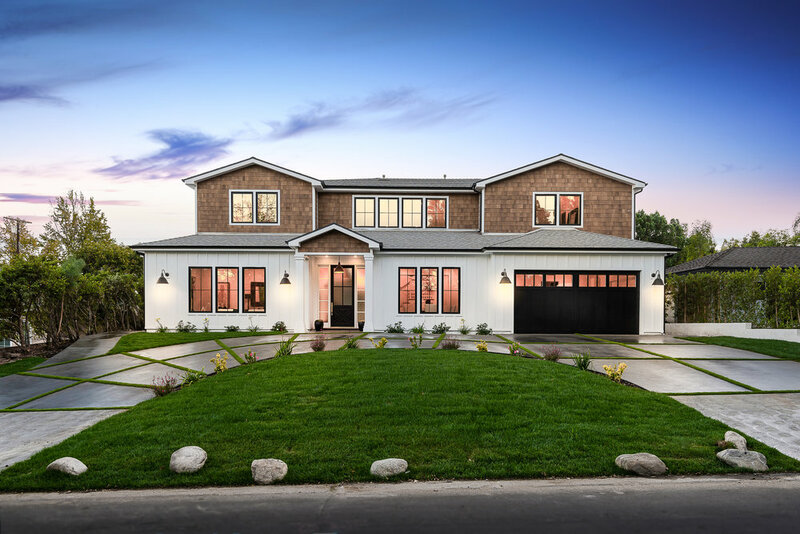 A Circular Driveway provides great curb appeal as you entire this 5-bed, 7-bath home with designer finishes and custom light fixtures featured throughout. This modern styled home adds charm into every single room. 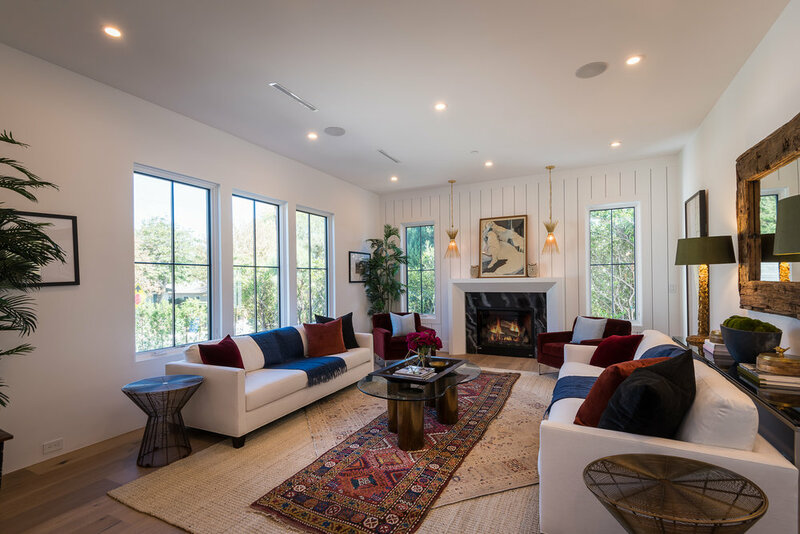 As you step inside you will be greeted with the formal living room that includes a fireplace, a perfect place to spend time with friends and family as you cozy up on those cold winter nights. The Gourmet chefs kitchen offers two oversized center islands, providing an abundance amount of space for hosting dinner parties. It includes a butlers pantry that adds additional cabinet space. For all the movie-lovers is a private 8-seater state of the art Theatre off of the family room. As you walk up towards the second story of the house you will be invited into the loft/den area. 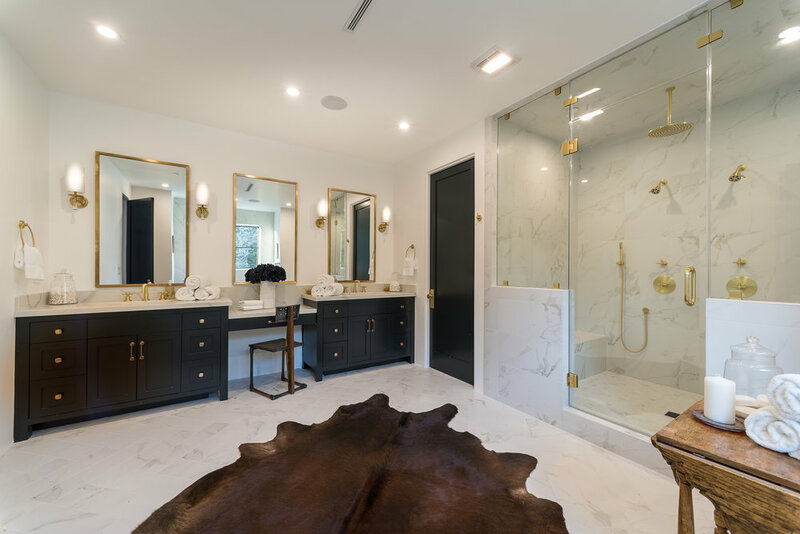 The master suite includes a built-in fireplace, spacious walk-in closet, along with a beautifu bathroom with a double vanity and a freestanding bathtub. A separate laundry room is located upstairs. Double doors open the family area into the backyard that is perfect for entertainment and outdoor dining. It includes a pool & spa, BBQ area, and a guesthouse.